High-quality aerospace solutions for military, civil and commercial customers. Here are some of the projects that we have completed. We have a proven track record of delivering working flight hardware and systems (11 flight projects and deliveries over past 5 years). The high power nano satellite Power subsystem was developed in response to unique requirements for high peak current with long lifetime (>3 years), at low unit cost. The subsystem includes redundant lithium-ion cells with dedicated balancing control for each string (in order to maximize lifetime). It can provide up to 5 kW peak current for 90 seconds every orbit, with the projected lifetime exceeding three years. The integrated subsystem includes the programmable charging and discharging control, failure detection and isolation, multiple watchdog timers, and power-on-reset capability. It can provide up to 500 W/kg peak current, with validated lifetime of year years. We can modify the battery to fit your needs. CONTACT US TODAY FOR A QUOTE. As part of early R&D for a NASA funded deep space nano-satellite mission we have designed, built, and tested a miniaturized hypergolic bipropellant thruster. It provides 3 N of thrust with 285 sec specific impulse. The propellant is pressurized with gear pumps, allowing for precise propellant metering and low pressure tank design. Our in-house propulsion system controller board design leverages the state of the art in BLDC motor control, and includes hardware for all of the necessary sensors and actuators. Contact us to find out how we can help add propulsion to your next mission. 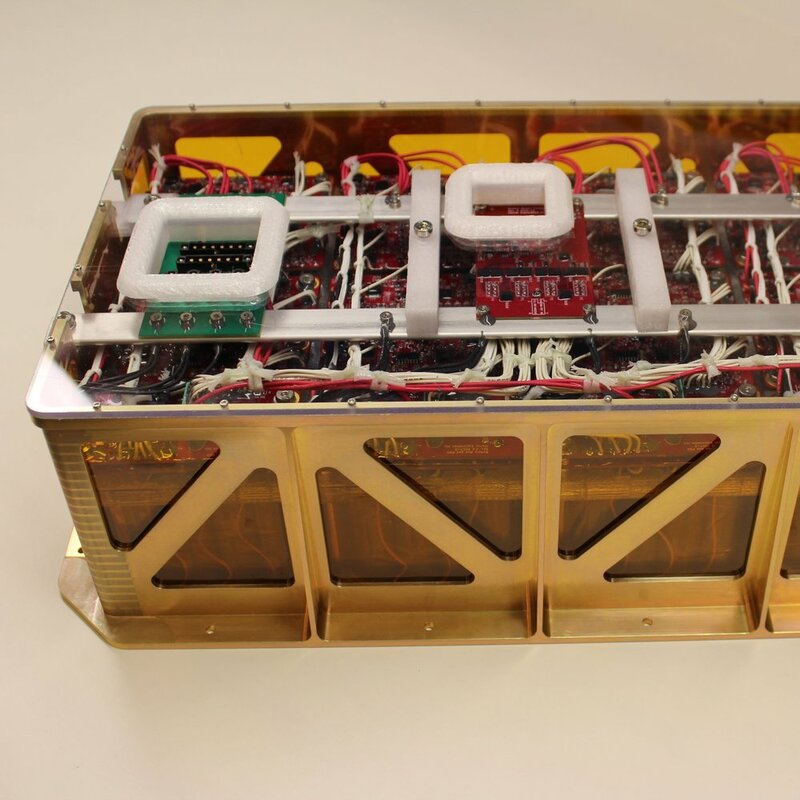 The tag is truly low-cost passive device similar to a RFID tag that can be attached to all small satellites. Using backscatter modulation from space radars, the RF tag can communicate satellite telemetry. Due to the nature of the device, it has absolutely no risk to host satellite and range safety. The tag relies on passive energy harvesting and thus requires no harnessing, deployment or release switches. Overall the design is low cost and robust throughout the lifetime of the object under tracking. The team consist of multidisciplinary design engineers. Our main capabilities lies in the following categories. Reach out if you need help in the following topics. Antenna, RF design and signal processing for variety of aerospace communications and sensor system. In-house missile design starting from simulation to hardware testing. 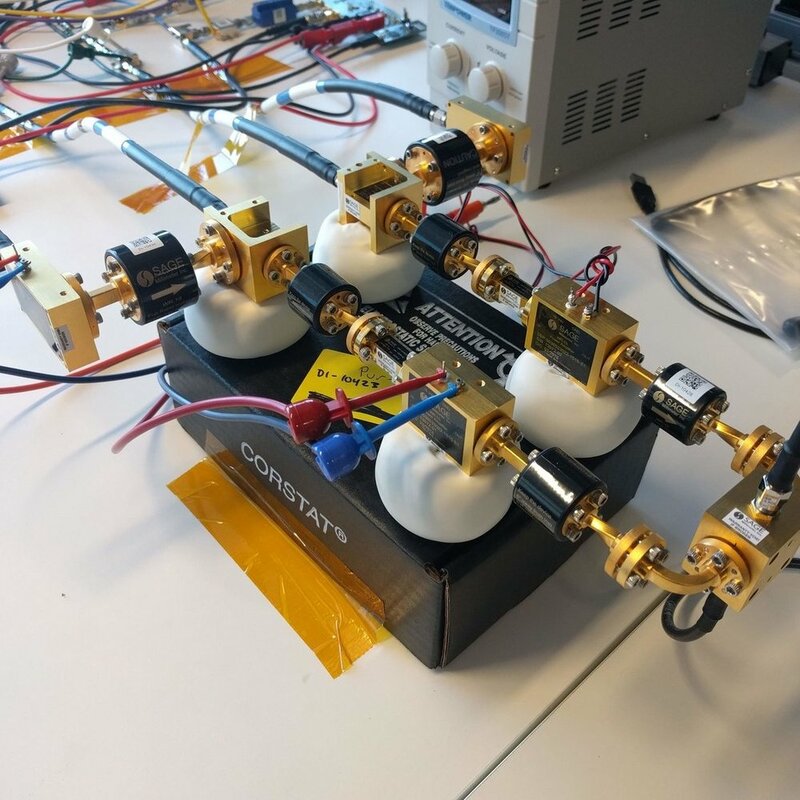 Power Subsystem development for microsatellites. Experience with battery, power distribution, and solar panel design. Mastery of large format 3D printing in ABS, Poly Carbonate, CF Nylon, and PEEK. Create Jigs, fixtures and flight hardware. We have experience is designing nano-satellite missions from LEO to Deep Space with payloads ranging from light sails to synthetic aperture radars. Advanced orbital TIG welding capabilities. Clean processes (IEST-STD-CC-1246E) and tubing welding diameter range between 1/16” to 1-1/2”. Experience in liquid bi-prop and cold gas propulsion system.